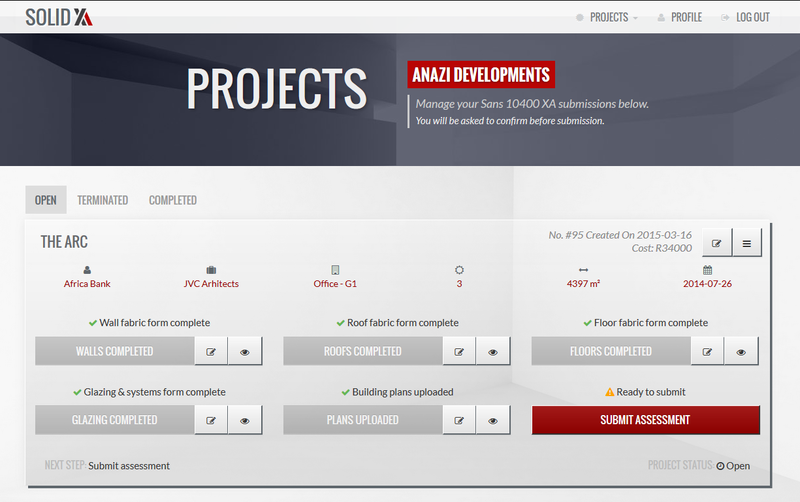 Use the form on the Solid XA homepage to get an instant quotation on a SANS10400 XA assessment for your building. 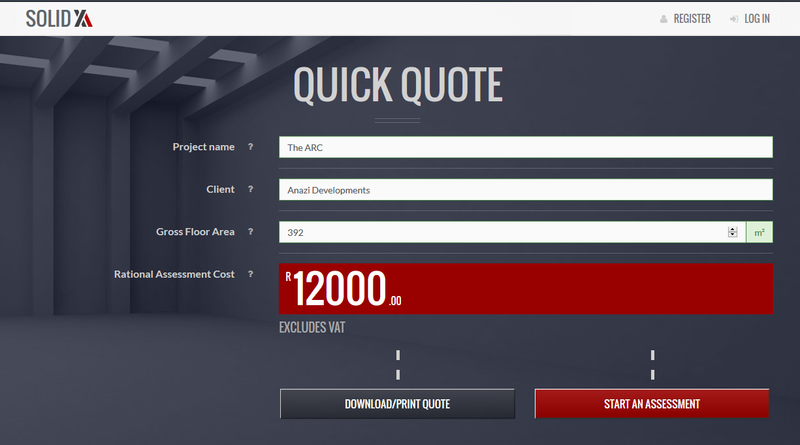 Enter your building’s GFA, client and your projects’s name and we’ll give you a cost and generate a formal quotation PDF. Get a quick quote on the Solid XA homepage. On the homepage you can also learn more about South African energy regulations and why Rational Assessment is the best Path to Compliance. Solid XA was designed to allow you to quickly and easily create and manage your projects for SANS10400 XA Rational Assessment. Use the app to input details for your walls, roofs and floors, upload your building plans and enter your glazing, systems and client’s invoicing details. Manage multiple projects and save materials profiles for reuse later. Solid XA guides you through the entire process. When all steps have been completed, submit your project for assessment, which will be performed by Solid Green and returned to you speedily. We’ll guide you through each step required in submitting your project for assessment. Save and manage multiple projects for submission when ready. Creating new projects is quick and easy. 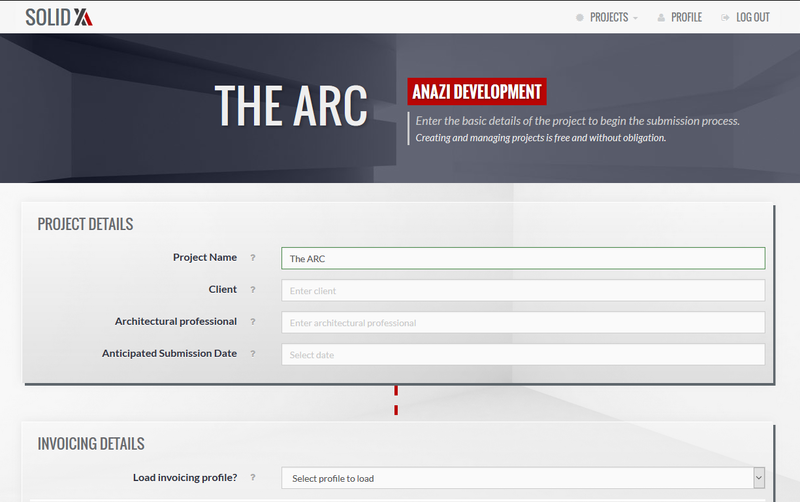 Simply complete the new project form. 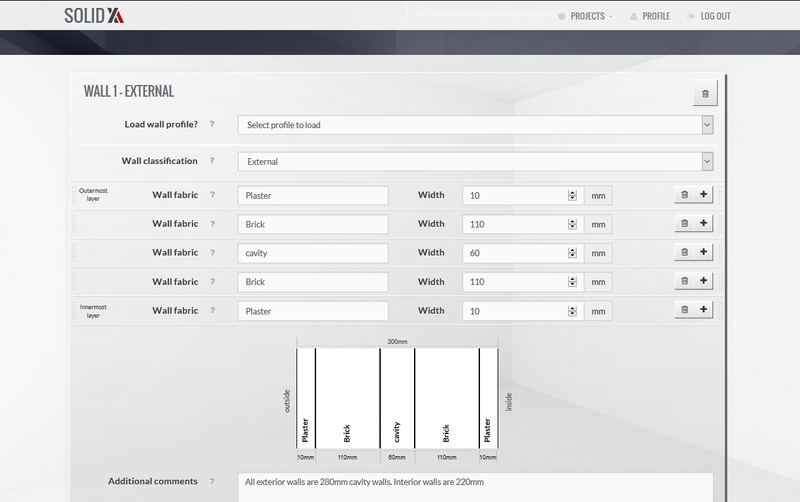 The solid XA app allows you to input and visualise your materials data for walls, floors and roofs. Upload your building plans and mange your project. When all steps are complete, hit submit and we’ll complete your assessment. Through the SANS10400 XA Rational Assessment Path to Compliance, you need never do XA glazing calculations again while saving clients money on reducing the requirement for insulation and double glazing. Design better buildings by spending budget where it saves energy. 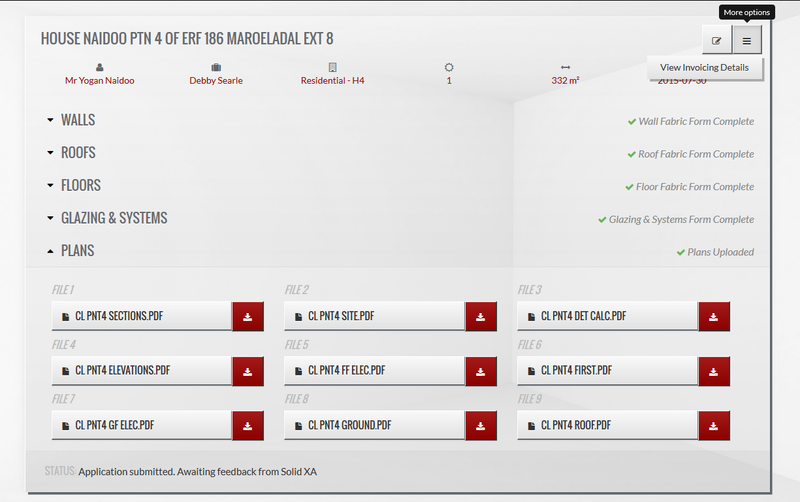 Visit Solid XA see how easy it is to complete your SANS10400 XA assessments online.